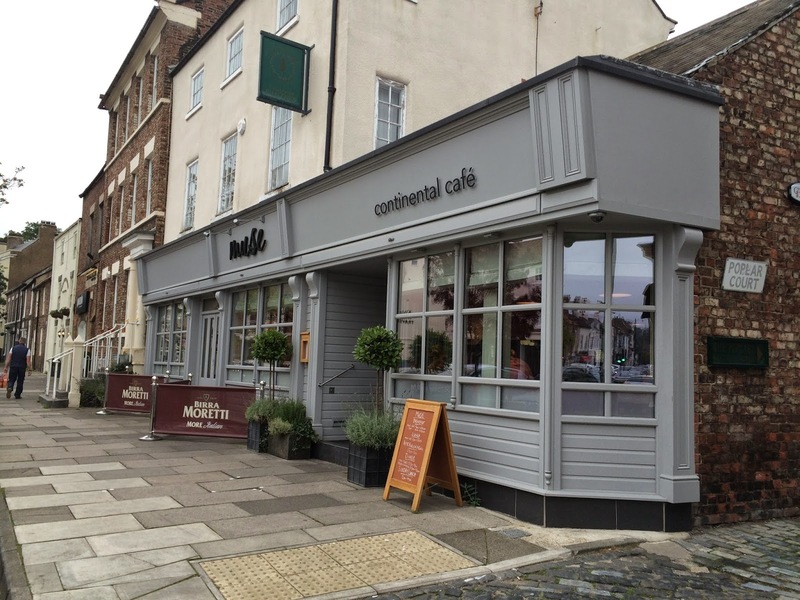 Why are Teesside’s restaurateurs so obsessed with Europe? Maybe it’s a longing for warmer climes: there’s Brasserie Hudson Quay in Middlesbrough, “designed to recall the Grand European Cafés of France, Spain and Italy”; there’s Café Lilli in Norton, with its great blend of French, Italian and Greek food; in Yarm there’s Cena, which calls itself a Trattoria, but is more pizzeria; and there’s Muse, which has “continental café” over the door, but is actually a very good brasserie. Open for breakfast lunch and dinner, it’s lively, modern and fun, as casual as a pair of ripped designer jeans, and almost as classy. It’s the second episode in the Marcus Bennett trilogy that began in 2008 with his Bay Horse in Hurworth, my gastropub of the year. 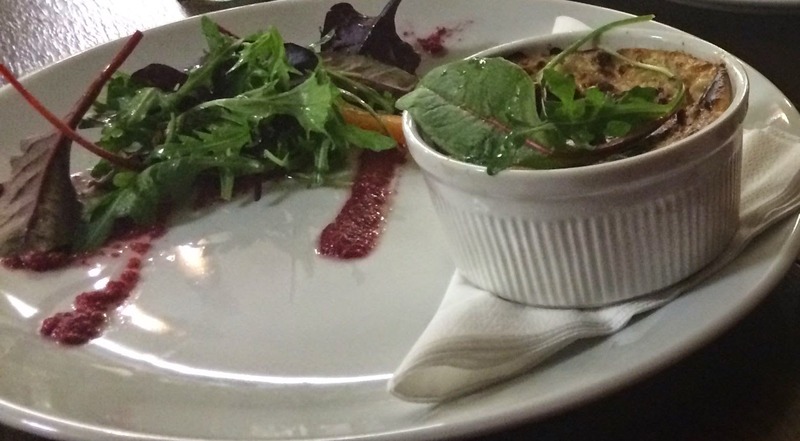 I awarded it five stars for its hearty, ambitious food, yet its atmosphere is still country pub. Cena, Bennett’s latest venture, opened last year, and I suspect that the main reason it did was that Muse, directly opposite, was so popular with the locals. Muse has a perfect site. 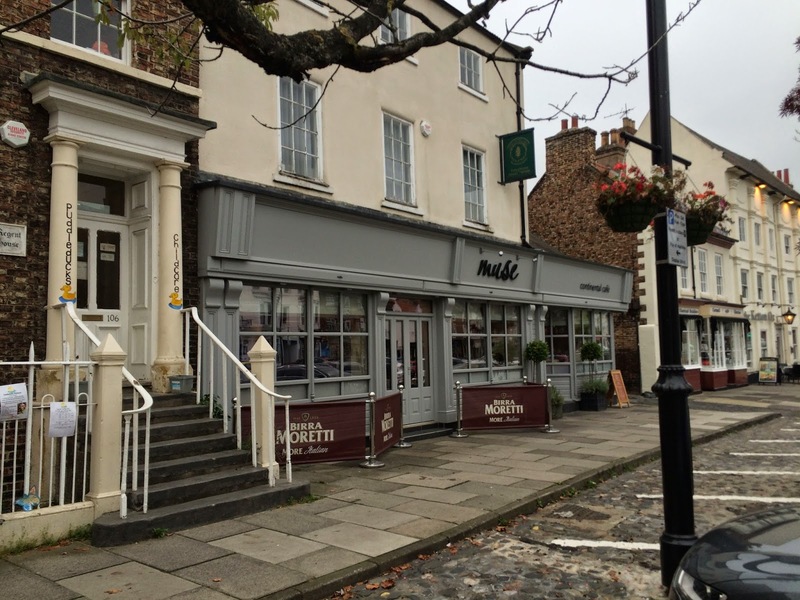 Yarm’s open marketplace offers plenty of space for the kind of pavement terrace you get in European cities. So, when the sun shines, out come the tables and it’s a great place to go with friends for cocktails and watch Yarmites strutting their stuff. Or that’s what they claim, for it was freezing cold when Mrs Diner and I visited, the pavements were empty and the town was strangely quiet. As far as we could make out all the Yarmites were strutting inside Muse. The joint was packed. There’s a buzzy atmosphere, with terrific service and a long menu of brasserie dishes, with daily specials. It’s around £22 for 2 courses in the evening, and there’s also a good value (early-evening and lunchtime) fixed menu at £16 for 3 courses. Mussels jostle for attention with monkfish cheeks, Doreen Haigh’s meaty black pudding with potted crab pâté. There are pastas, fish and a range of simple entrées (slow cooked belly of lamb, braised beef short ribs, steaks and burgers). At lunchtime there are also salads and sandwiches. This is unfussy, classic brasserie fare: the kind of food that frequently disappoints in our region, when bored, poorly-trained chefs fail to cope with what should be straightforward preparation and presentation. It’s perfect for a busy, buzzy eatery. Marcus Bennett has a formula that seems to work. He rotates his senior chefs between the venues, constantly polishing their skills as they keep each place up to scratch, whilst maintaining their interest. Maybe that is how he has managed to retain such a good team, some of whom have been with him since his days at the Cleveland Tontine. While the more complex food at The Bay Horse requires calm and ambition, I suspect the kitchen at Muse is like a maelstrom, as mad as a heaving New York French brasserie. And as much fun. Mrs Diner chose twice-baked spinach and cheddar cheese soufflé. Some of you may recall the recent disaster that arrived under this name at a Newcastle establishment I visited a couple of weeks ago. I won’t name the place, it was all too painful. Contrast it with the picture above: this is how it should be done. 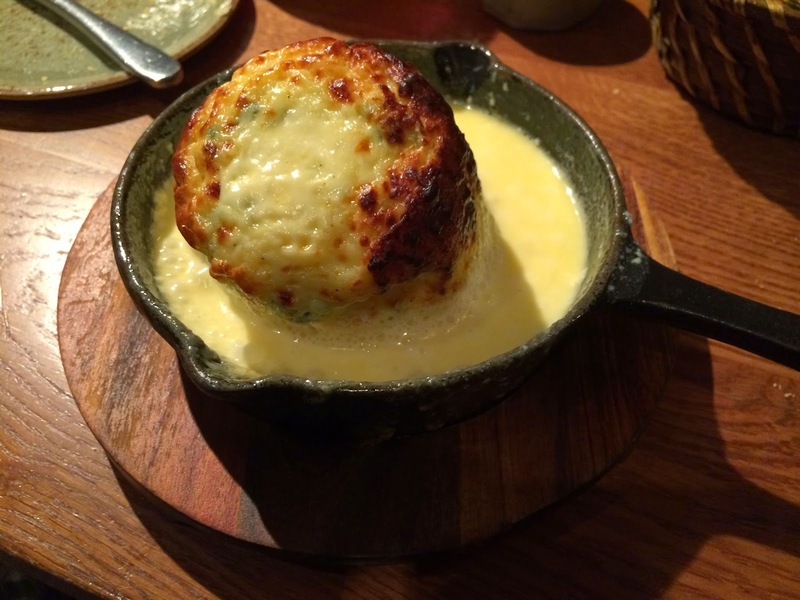 Risen, browned, light, fluffy, cheesy, with a rich, buttery sauce. Nothing complicated, just great execution. 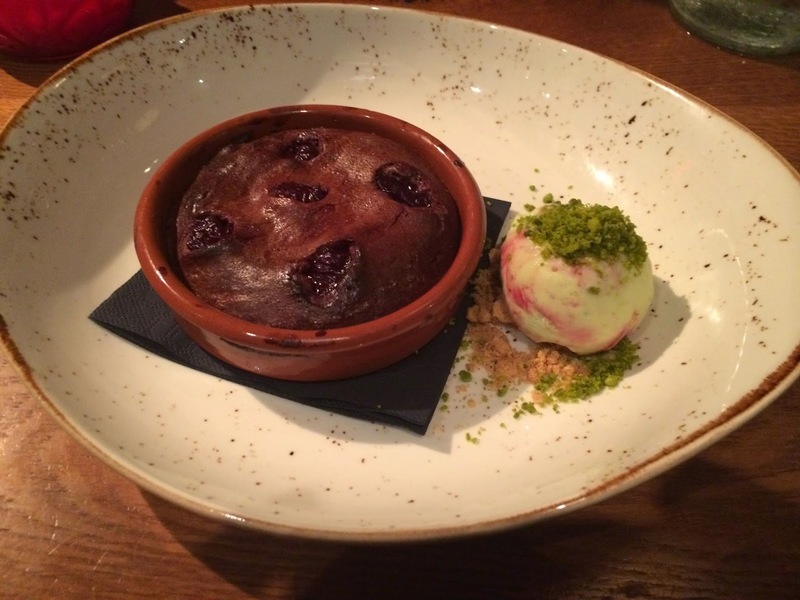 Now that’s what I call a soufflé. It set the tone for the entire meal. 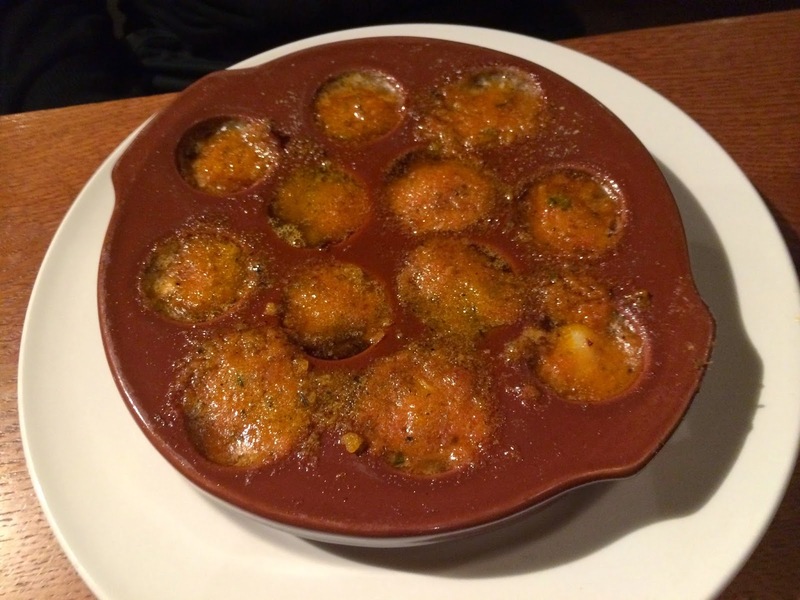 Queen scallops arrived baked in one of those brown escargot dishes, each compartment filled with scallop, garlicky Provençal butter and a sprinkle of herby crumb. Delicious. 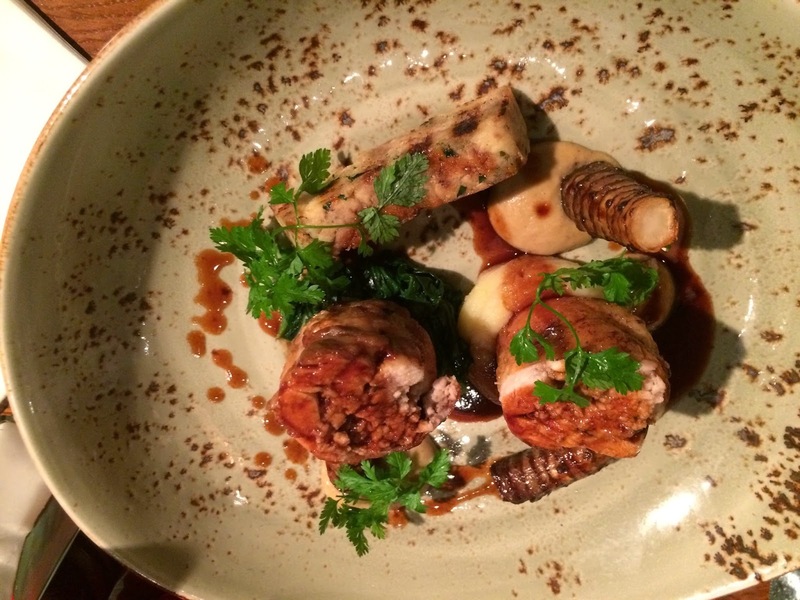 For her main course, Mrs Diner ordered chicken ballotines, moist thigh meat rolled with a pork and lemon stuffing, and little crispy roasted Jerusalem artichokes set neatly on artichoke purée. I opted for Dover sole. 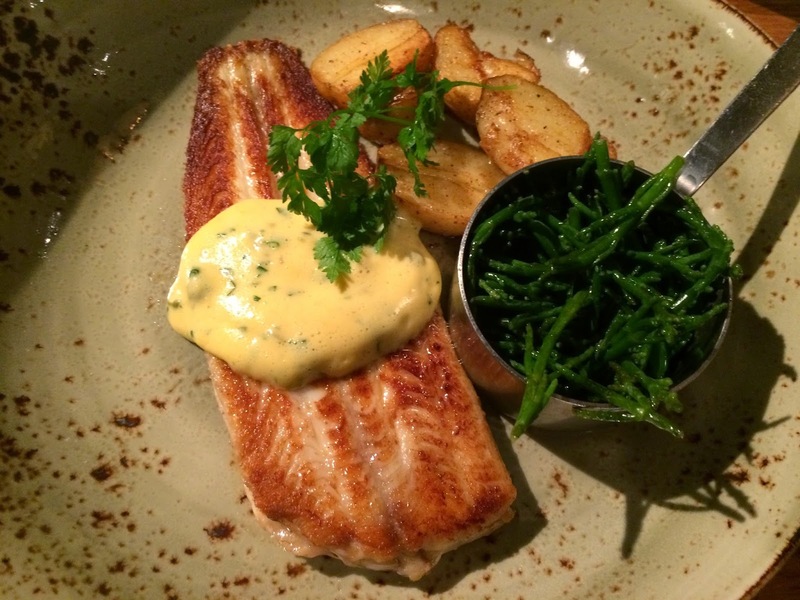 For just £16, it was generous in proportion and superbly fresh, perfectly pan-fried, with smooth parsley and caper sabayon, and samphire and potatoes on the side. I doubt I could have found better in Paris for twice the price. 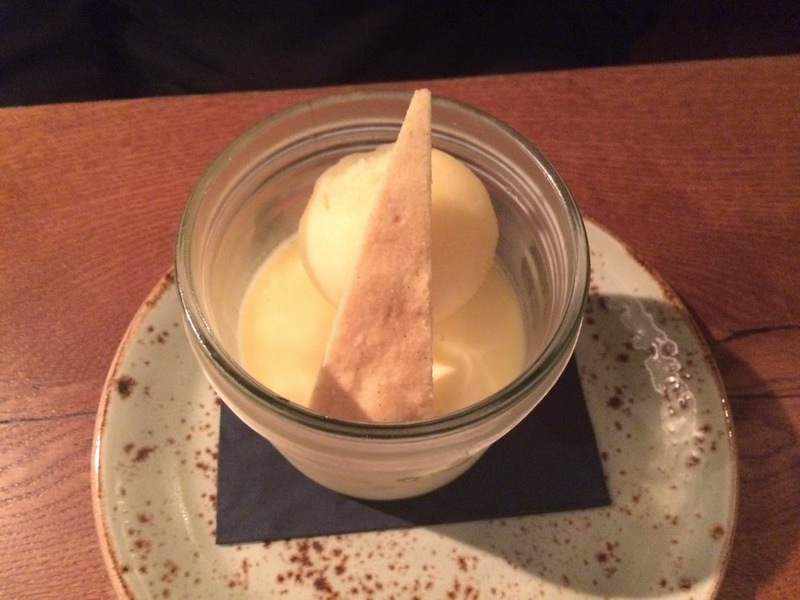 Desserts were more comfort food – a lemon posset with sorbet and a large plate of plum pudding with pistachio ice cream both came and disappeared quickly. But by this time the atmosphere, and the house wines (ten on the list, starting at £3.20) had so mellowed me, that my own Muse deserted me. Later I found one word on my notepad: Lush. I wish Newcastle had its own Muse. It’s truly continental, and I love it. GREAT review ,, terrible photos !